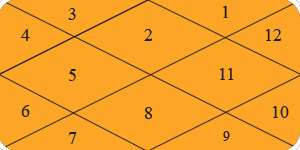 By entering this Web site or related properties of Neelmani Jyotish Kendra linked to this Web site, including, without limitation, any newsletters (as defined below), or registering as a member, you acknowledge and agree to be bound by the following terms and conditions of service (the "Terms and Conditions"). If you do not agree with all of the provisions of these Terms and Conditions, please do not enter or use the Neelmani Jyotish Kendra Site . In addition, when using particular services on the Neelmani Jyotish Kendra Site or provided by Neelmani Jyotish Kendra, you and Neelmani Jyotish Kendra shall be subject to any posted guidelines or rules applicable to such services which may be posted from time to time. ENTERING THE Neelmani Jyotish Kendra SITE AND/OR COMPLETING THE REGISTRATION PROCESS YOU ARE INDICATING YOUR AGREEMENT TO BE BOUND BY THESE TERMS AND CONDITIONS AS SUCH TERMS AND CONDITIONS MAY BE MODIFIED.The Terms and Conditions are intended for your safety and ease of use. If you encounter another user who is not abiding by these Terms and Conditions, please write to us. In consideration of your use of the Neelmani Jyotish Kendra Site, you agree to provide true, accurate, current, and complete information about yourself as prompted by the registration form. You will receive a password and account designation upon completing the registration process. You are responsible for maintaining the confidentiality of the password and account, and are fully responsible for all activities that occur under your password or account.Upon your registration with the Neelmani Jyotish Kendra Site you will begin receiving, via electronic mail, the Neelmani Jyotish Kendra newsletters (the "Newsletters"). In the event that you no longer desire to receive the Newsletters via electronic mail, you may unsubscribe to the Newsletters on the Neelmani Jyotish Kendra Site or by clicking on the Unsubscribe button on the Newsletter itself. 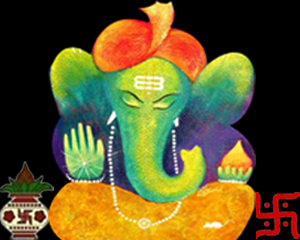 Neelmani Jyotish Kendra may also send you information, including advertisements, from content and marketing partners of Neelmani Jyotish Kendra. You can elect not to receive any such information by writing to us. This site, including without limitation, the content, code, and other materials contained in or accessible through this site are provided on an "as is" and "as available" basis. Neelmani Jyotish Kendra. 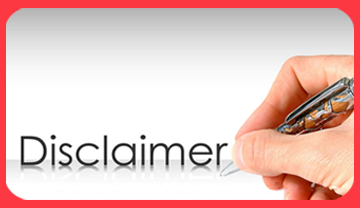 disclaims all warranties, express or implied, including, but not limited to, implied warranties of merchantability, fitness for a particular purpose, title, and non-infringement with respect to all such materials. Neelmani Jyotish Kendra. does not make any warranty that this site or its content, products or services will meet your requirements, or that the site, code or content will be uninterrupted, timely, secure, or error free. Neelmani Jyotish Kendra. does not make any warranty concerning the accuracy of the information contained on the site, any products available for purchase on the site, visual or audiovisual materials offered on or presented through this site. Neelmani Jyotish Kendra. does not represent or warrant that this site or its server(s) are free of viruses or other harmful components. Reference to any products, services, processes, or other information, by trade name, trademark, manufacturer, supplier, or otherwise does not constitute or imply endorsement, sponsorship or recommendation thereof by Neelmani Jyotish Kendra. Some states do not allow the limitation or exclusion of certain warranties or conditions, so the above exclusions may not apply to you. The display, description or references to any products, services, publications or links on the Website shall not constitute an endorsement by Neelmani Jyotish Kendra of such products, services, publications or links. By submitting content, posting messages, uploading files, inputting data and registration information, or engaging in any other form of communication on the Neelmani Jyotish Kendra Site or through services on the Neelmani Jyotish Kendra Site, you grant Neelmani Jyotish Kendra a royalty-free, perpetual, irrevocable, non-exclusive, unrestricted, worldwide right (including any moral rights) and license to: Use, copy, sublicense, modify, adapt, publish, translate, create derivative works from, transmit, distribute, publicly perform, or display any such communication (in whole or in part) and/or to incorporate it in other works in any form, media, or technology now known or later developed; and provided, however, that with respect to personally identifiable information, such usage shall comply with the terms set forth in Neelmani Jyotish Kendra's Privacy Statement; and Sublicense to third parties the unrestricted right to exercise any of the foregoing rights granted with respect to the communication. The foregoing grants shall include the right to exploit any proprietary rights in such communication, including but not limited to rights under copyright, trademark, servicemark or patent laws under any relevant jurisdiction.You also warrant that the holder of any rights, including moral rights in such content, has completely and effectively waived all such rights and validly and irrevocably granted to you the right to grant the license above. Subject to the foregoing, the owner of such content placed on the Neelmani Jyotish Kendra Site retains any and all rights that may exist in such content.